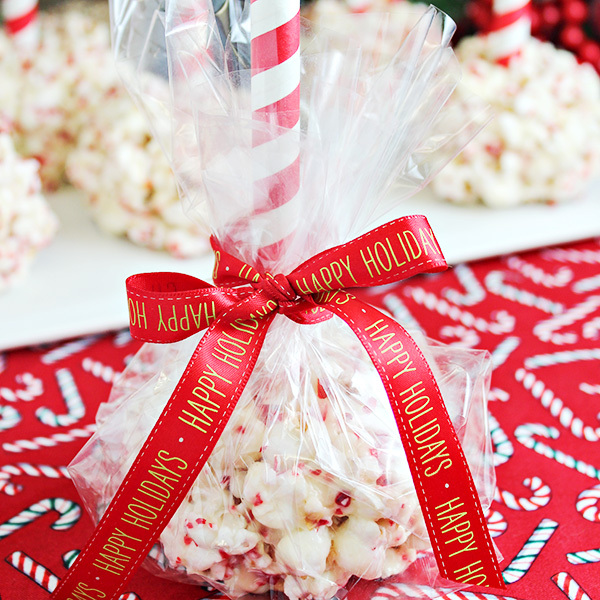 Make this Christmas Popcorn Balls recipe for an easy holiday treat! 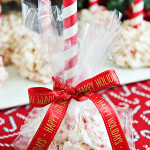 Made with white chocolate, marshmallows, and peppermint, these sweet popcorn balls on a stick are fun for holiday parties, but also for gift giving or selling at a bake sale. Have you ever had a popcorn ball? As an adult, I haven’t made them more than a few times, but when I was younger, my mom made them many times, mostly (always?) for Halloween. It seems that popcorn balls aren’t as popular as they once were. Maybe I’m wrong? But, even if they aren’t as popular, I still love them and when it comes to holiday treats, popcorn balls are frugal to make and can be customized in so many ways. 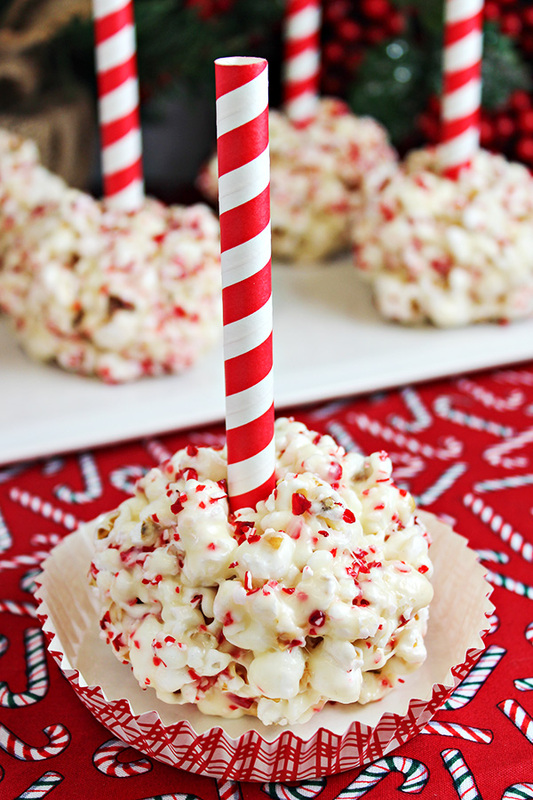 For this recipe, I’ve combined the delicious flavors of white chocolate and peppermint into a Christmas Popcorn Ball. Both flavors go together perfectly and they are a great match for Christmas too. Besides popcorn, one of the key ingredients you will need for this Christmas Popcorn Ball recipe is crushed peppermint candies. One Christmas a while ago, I spent 10 minutes trying to unwrap THREE candy canes. I wish I was joking. Those pesky plastic wrappers were practically glued onto the candy canes. But since then, I’ve turned to using pre-crushed peppermint candies. It’s seriously the best timesaver for holiday recipes. I buy my crushed peppermint usually in the bulk bins at my local Winco store. If your local store doesn’t sell crushed peppermint in bulk, look for bags of it near the holiday baking displays. 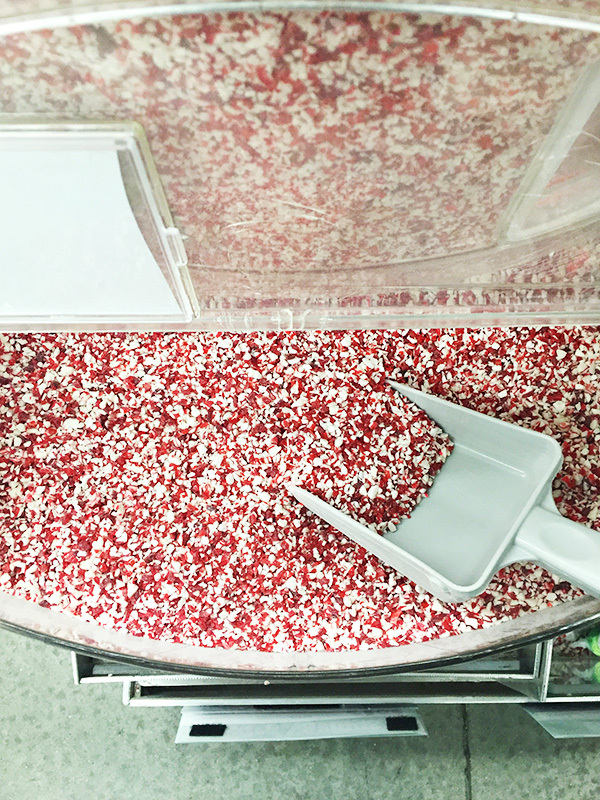 You can even buy it online: Crushed Peppermint Candies. Of course, you can crush your own peppermint candies too. I’ve crushed peppermint candies many, many times both in my Cuisinart or by putting it in a bag and smashing it with a kitchen mallet. If you don’t have pre-crushed peppermint candies, one of those options will work just fine for you (assuming you don’t get those horrible wrapped candy canes like I did). To make this Christmas Popcorn Balls recipe, you’ll need to pop about 12 cups of popped popcorn. Put it into a big bowl that will have plenty of room for combining the popcorn with the melted chocolate and marshmallow mixture. If you don’t have a very large bowl, you could use a large baking sheet (give it a light coat with cooking spray). 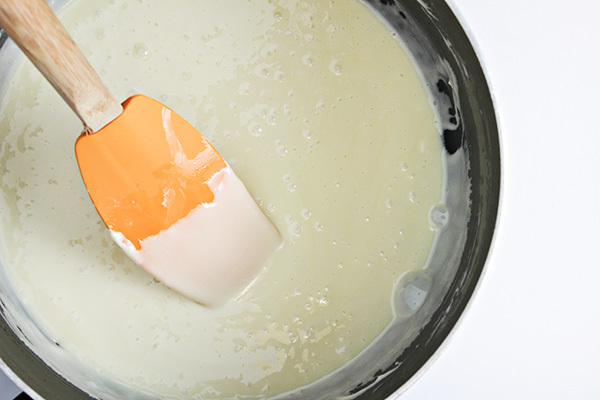 On your stovetop, you’ll melt together butter, mini marshmallows, and white chocolate chips over low heat. Don’t worry if all of the chocolate chips melt completely. I think it’s okay, and even preferred, if you have tiny bits of unmelted white chocolate chips in this mixture. Once the mixture is melted, you’ll need to work fairly quickly to combine it with the popcorn. Drizzle about 1/3 of the mixture over the popcorn and work quickly to stir and fold the popcorn together with the chocolate/marshmallow mixture, using a silicone spatula. Continue adding the rest of the mixture to the popcorn. Very quickly after all of the chocolate/marshmallow mixture is combine with the popcorn, you’ll sprinkle in the crushed peppermint in a few different batches. Then, with greased hands, form balls with the popcorn. Make sure to you don’t squeeze and compact the popcorn too much. You want to form the balls just enough so that they are holding together. Immediately after forming the popcorn ball, place it on a wax or parchment paper lined baking sheet. If you’d like to add a stick to your popcorn balls as I have, insert a paper drinking straw into the middle, pushing it in until it nearly reaches the opposite side. I think the stick makes them extra fun! 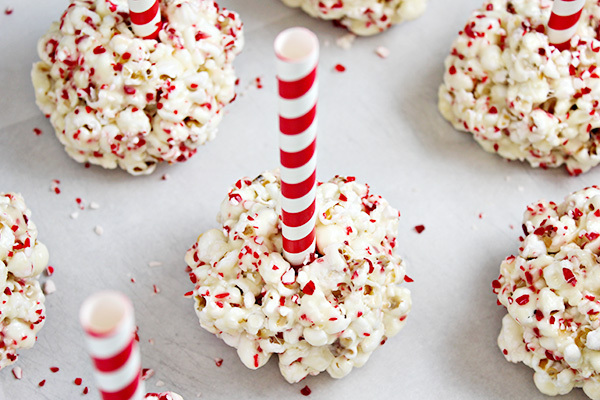 After adding the stick, press additional crushed peppermint into the popcorn balls. 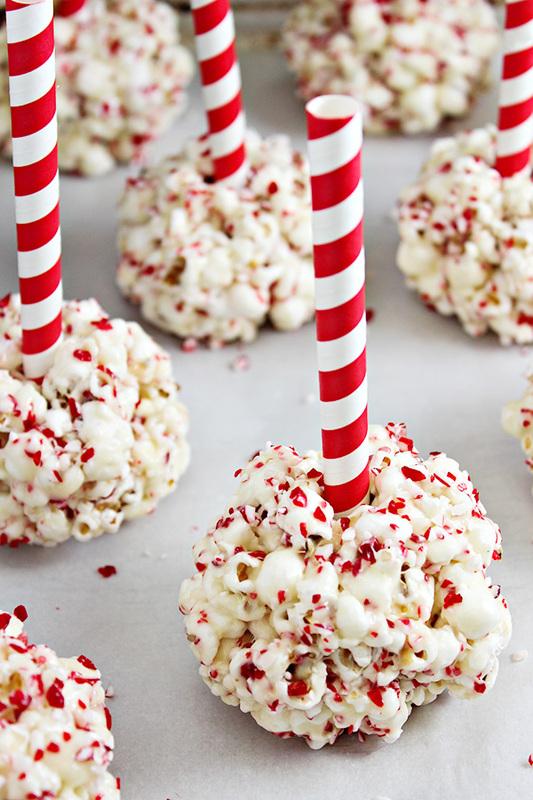 To serve this Christmas popcorn balls recipe, you can simply place them on a tray. To make them even cuter, you can set them in a festive baking cup. 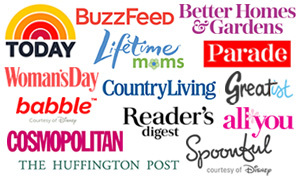 You can also wrap them up for gift giving, selling at a bake sale, or taking them to a party. I prefer to use something clear so that you can see the popcorn ball, so I went with a square cut out of clear cellophane tied with a bow. Other options are wrapping them with plastic wrap or placing them in treat bags. Here’s the full recipe — if you wish to save this recipe for later, please be sure to pin it to Pinterest! Place popped popcorn in a large bowl with room for mixing. Line a large baking sheet with wax paper or parchment paper. In a saucepan over low heat, melt butter. Add marshmallows and white chocolate chips to the butter. Melt marshmallows and white chocolate chips over low heat, stirring constantly. When marshmallows and chocolate chips are melted (it’s okay if you have small piece of chocolate that haven’t melted), remove from heat and stir in peppermint extract. Drizzle about 1/3 of the chocolate/marshmallow mixture over the popcorn and work quickly to fold it together with a rubber or silicone spatula. Repeat with the remaining mixture in two batches, again working quickly to combine the chcoolate/marshmallow mixture with the popcorn. 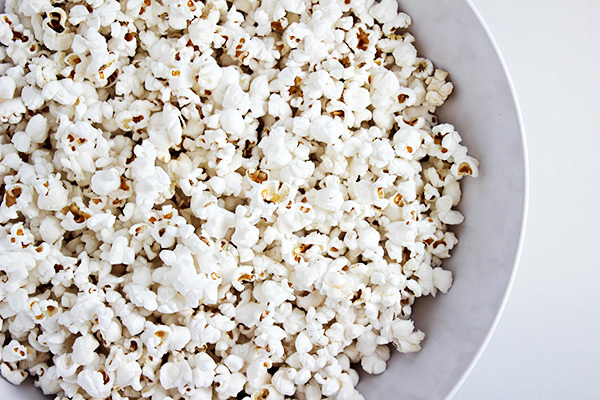 Sprinkle some of the crushed peppermint over the popcorn and combine with the popcorn. Repeat with the remaining peppermint until it has been somewhat evenly distributed among the popcorn. Grease hands with a small amount of butter. At this point, the coated popcorn should still be very warm, but cooled enough to be safe to shape into balls. Shape into approximately 3″ popcorn balls. Do not press the popcorn together too firmly, you want to press together just enough so that the popcorn holds its shape. Place popcorn ball on prepared baking sheet. Immediately insert a paper straw or stick into the center of the popcorn ball, pushing it all the way down until it reaches the opposite end. If desired, press or roll popcorn balls into a bit of additional crushed peppermint. 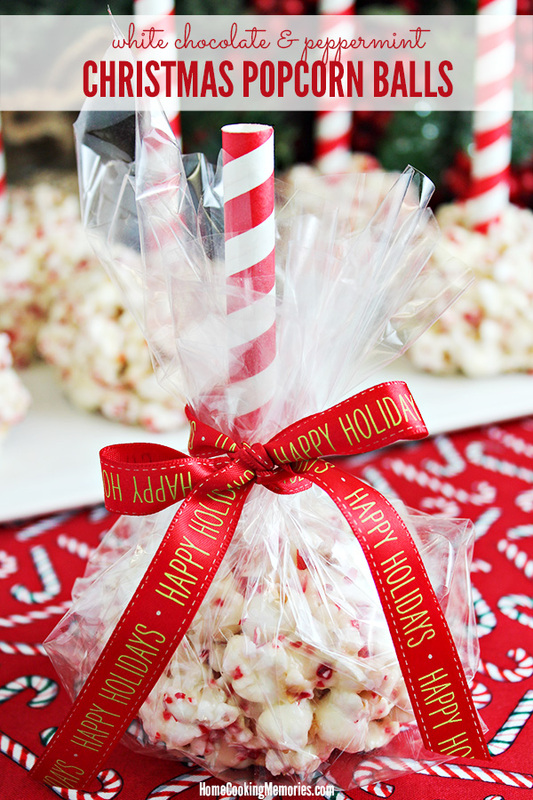 For wrapping: If you wish to give these popcorn balls as a gift, sell as a bake sale, or bring to a party, wrap each popcorn ball with a square of clear cellophane or plastic wrap or place in a plastic treat bag and tie closed with a ribbon. Want even more white chocolate & peppermint recipes?